The University of Central Florida will help guide policy decisions when medical care reform is enacted in rural America thanks to a new grant. The National Institutes of Health has awarded UCF a $1.6 million grant to assess health care provided by Rural Health Clinics — federally recognized clinics located in rural, medically underserved areas of the United States. There are more than 3,800 nationwide. The research team will focus on eight southern states — Alabama, Florida, Georgia, Kentucky, Mississippi, North Carolina, South Carolina and Tennessee, which account for approximately 25 percent of all Rural Health Clinics in the country. About 20 percent of all people ages 65 and older live in nonmetropolitan areas in the U.S. Rural Health Clinics have played an important role in meeting the needs of these adults for more than 30 years. Clinics have increased over the past two decades from 314 in 1990 to 3,846 clinics in 2011, according to UCF’s Judith Ortiz, the other lead researcher for the new study. However, Rural Health Clinics have struggled to keep pace. “Many have difficulty attracting and retaining qualified health care professionals,” Ortiz said. Rural environments present their own challenges with higher percentages of the elderly and higher rates of chronic disease compared to urban areas and increased costs to deliver medicine in some truly rural environments. “Our analysis should reveal the factors that contribute to a Rural Health Clinic’s ability to offer accessible, cost-effective, quality care to all rural populations,” Wan said. 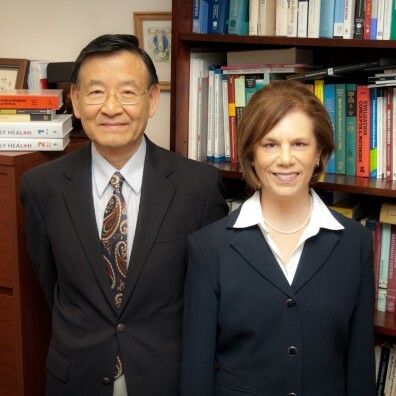 Wan and Ortiz believe that Rural Health Clinics could benefit from opportunities posed by the Patient Protection and Affordable Care Act of 2010. The act allows these rural clinics to join Accountable Care Organizations (ACO), groups of health care providers (physicians and hospitals) that assume the responsibility for providing health care to a defined group of patients. Because the ACOs are large, they have economies of scale and may have more flexibility in attracting medical personnel. During the four-year study, the researchers will collect and analyze data from approximately 800 southern Rural Health Clinics. They will examine how many clinics join ACOs now that they are an option. Rural clinics need to have some basic computer resources and technical staff to join ACOs and that’s not always the case, Ortiz said. The researchers believe that without access to these networks of physicians and hospitals, rural populations could receive fewer health care services. That poses health risks and ultimately could cost taxpayers more when patients are forced to seek emergency care. Researchers from UCF’s Department of Health Management and Informatics (Maysoun Dimachkie), College of Medicine (Adam Golden), College of Nursing (Angeline Bushy) and College of Education (Stephen Sivo) will participate in the study.